Summer is here! Are you excited to bask under the blue sky and warm sun? Cyclists will have surely been looking forward to riding their bikes after being caged in their houses for a long time. Being in warmer temperatures is indeed a wonderful feeling. Unfortunately, riding in the heat entails a lot of challenges. Before you start cycling in the hot and humid weather, take some time to review the tips we have prepared below to stay safe. Carefully plan and prepare your route. Don’t just take on a route on a whim. Research possible routes ahead of time. Inform a friend or family member of where you are going. Choose routes that have a lot of shade and convenient stops where you can rest or get water. Also check if the route you choose has shortcuts. Make sure that you always have your mobile phone with you so you can call home in case of emergency. Bring extra money for a bus or taxi ride. 1. Wear the correct attire. Avoid cycling during the hottest times of the day as much as possible. This occurs between 10 AM and 4 PM. Wear appropriate clothing. Choose clothes that allow sweat to dry up easily so that you’ll remain comfortable all throughout the ride. Your ideal attire should have mesh panels and full-length zippers so that you’ll have plenty of ventilation. Some companies now offer super-light clothing. Sometimes the clothes also contain reflective cooling technology such as Coldblack or UVF protection. Don’t neglect your feet! You should have thin socks and well-ventilated shoes so your toes won’t get clammy. Make sure that your head is also well-protected by wearing a well-ventilated helmet. This ensures that you have fresh air flowing above your head. Those who don’t have hair are at risk of getting sunburn as the sun can pass through the air vents. Apply lots of sunscreen or cover up to protect your scalp. 2. Don’t forget to bring sunscreen! 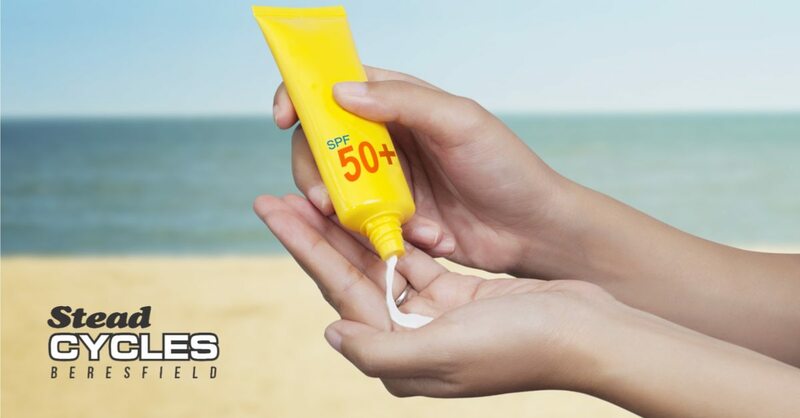 Make sure you apply plenty of sunscreen and re-apply it regularly. Wear sunglasses. Your eyes will easily get tired from riding under the bright sunshine. The UV rays will also inflict damage on your eyes. Choose sunglasses that have dark lenses so that excess light can be eliminated. It’ll be easier for you to see where you’re going and avoid accidents at the same time when the glare’s not in your eyes. Did you know that you can also prepare at home? Turn off your air conditioner or increase the temperature of your heater. If you always switch between cold and hot places, the heat will feel quite harsh to your skin once you go outside. Your body needs at least two weeks before it becomes comfortable indoors and outdoors. As a preparation for a long ride, schedule short rides done at a slow pace a few weeks before your long ride. 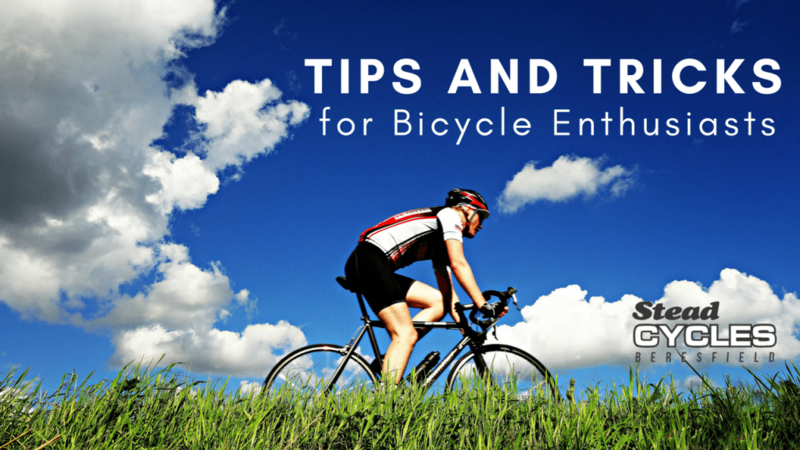 Steadily increase the mileage as you become accustomed to riding in the heat. 4. Energise yourself with food. You might accidentally forget to eat in a hot weather. Oftentimes, your appetite will become suppressed by the heat. Make an effort to munch on foods with lots of carbohydrates for the whole period of your ride. Examples include energy bars, malt loaf, bananas and nuts. Stay hydrated before, during, and after your ride. Pack lots of fluids even if you don’t expect to ride for a long time. Don’t drink lots of cold water at one go – this may lead to cramping. Just drink small amounts of water from time to time. The recommended interval is every 5-10 minutes. Don’t wait until you feel extremely thirsty before taking a break. This is one of the primary signs of exhaustion due to heat. If you are planning to ride for more than one hour, take in fluids that also replace your electrolytes. You might want to buy an electrolyte drink or salty snacks such as peanuts, pretzels, or electrolyte gels to regulate your sodium levels. 6. Check that your bike is tuned up for the heat. Your bike should be well-conditioned prior to riding it. In this way you don’t need to work harder than you need to. Top off your bike’s tire pressure regularly. If you don’t own a tire pump, pay a visit to the nearest bike shop. Make sure that the chains are greased well. Your bike’s gears should be well adjusted so that they can be used anytime. You should also reduce the load that you carry in your back. Install a rear rack, panniers or front basket where you can store your bag. You can also improvise by attaching buckets to your bike. This reduces sweating on your back. 7. Use an insect repellent. The population of airborne insects roaming around the area usually increases during summer. We all know how unpleasant it is to be attacked by midges especially at dusk and dawn. Spare some of your budget for buying an effective insect repellent. Apply it on your arms and legs. You can also ride faster so that the insects won’t have any chance to settle on your skin. Your body experiences more strain as you ride harder and faster in hot weather. This can’t be avoided if you are part of a race. However, if you are just out to train and enjoy the ride for the whole day, then you need to keep your pace steady. Minimise your energy expenditure. Don’t charge up in every hill that you see. Always take breaks in between under a shade and hydrate. Fit and lean riders can cope with the heat better than those who aren’t. Body fat provides insulation. It’s like wearing a duvet while you’re outside! Lean riders eliminate heat faster. They can also climb up hills faster since they have a good ratio of power to weight. We know how eager you are to go outdoors and ride your bike once again. But, don’t risk harm just because you weren’t able to prepare. Our team in Stead Cycles offers you the latest bikes, parts and accessories that are perfect for the summer. Call us today!